Integrating Fedex services into WooCommerce is a great way to easily and efficiently manage all the shipping for your WordPress site. 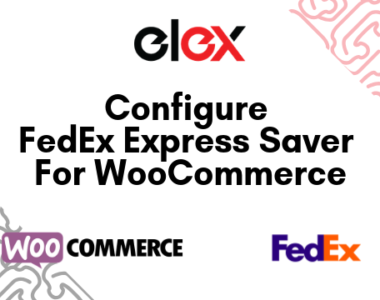 So in this article, We will talk about the ELEX EasyPost WooCommerce FedEx Shipping Methods plugin and what makes it the best free WooCommerce FedEx shipping plugin. Shipping is an area that WooCommerce store owners regularly struggle with. Packaging the products, buying postage and dropping the parcel off at the Post Office to serve a business’s shipping needs, just isn’t feasible manually. Besides, as a WooCommerce Store, outsourcing shipping is a great way to free up time, manpower and money for more productive uses. While WooCommerce settings let you configure a rudimentary shipping system, it falls short in several aspects. The absence of support for third-party shipping services is one of the biggest shortfalls of WooCommerce Shipping. What’s more, you cannot assign shipping methods and options from these carriers to WooCommerce Shipping Zones and Shipping Classes. Thankfully, plugins for the integration of shipping services from carriers like FedEx, UPS, and USPS are available. This helps in overcoming some of these shipping challenges while providing more helpful shipping features for store owners and customers. EasyPost is a RESTful API for shipping. 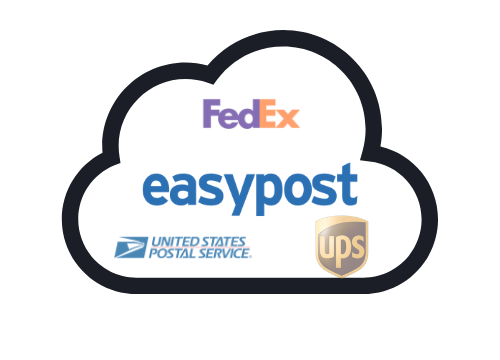 Apart from UPS, USPS, and FedEx, EasyPost supports shipping from other carriers as well. you get the first 500 tracking numbers per month free for just Tracking API and Webhooks. Additionally, all Tracking API functionality is free if you’re purchasing shipping labels through EasyPost. EasyPost has no setup fees, monthly fees, or cancellation fees. You only need to pay for what you use. 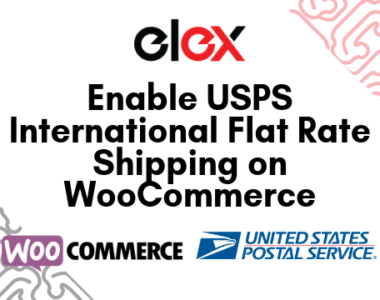 The ELEX EasyPost WooCommerce FedEx Shipping Methods plugin uses the EasyPost API to seamlessly integrate shipping services like tracking into WooCommerce Shipping. 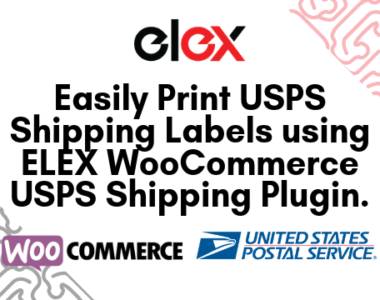 The best free wooCommerce FedEx Shipping plugin is the ELEX EasyPost WooCommerce FedEx Shipping Methods plugin. Using the plugin you can choose to enable or disable real-time rates from FedEx for both international and domestic shipping. Depending on how you have the plugin setting configured, it displays live rates under each of the WooCommerce FedEx Shipping options. This lets customers pick and choose the shipping option based on how much it costs. You can enable or disable Estimated Shipping dates to be displayed for your customers. Tick the Estimated Delivery Date box to enable it. You need to set up working days for the Estimated Shipping to work. Shipping is done only on one of the specified working days. Moreover, you can even set up a cut-off time for shipping your WooCommerce Orders. Orders placed after the specified cut-off time will be shipped on the next working day. Using this plugin you can generate all your FedEx shipping labels from WooCommerce itself. 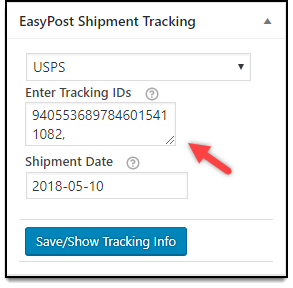 Details of shipments created when you click on “Create Shipment” in the order details page are sent to your EasyPost account from where you can print them out. The shipping labels generated have FedEx tracking bar codes on them. Moreover, the postage for the shipments is also paid automatically through your EasyPost account. You can also set up easy and efficient FedEx shipment tracking using the plugin. When enabled, the FedEx tracking number that EasyPost returns can be configured to a part of the order status mail. Tracking is now enabled for customers as well as store owners. In the rates and services section of the plugin, you can completely adjust the rates of all enabled FedEx service rates. You can adjust them by a percentage or a flat amount. Providing positive values will mark up the price while giving negative values will result in a discount. So the plugin can be used to set up promotional discount rates as well as account for packaging and handling on your end. You can also setup up a Fallback rate that is charged for shipping should EasyPost fail to return live real-time shipping rates. Specifying rates as residential or commercial rates is also possible using this plugin. 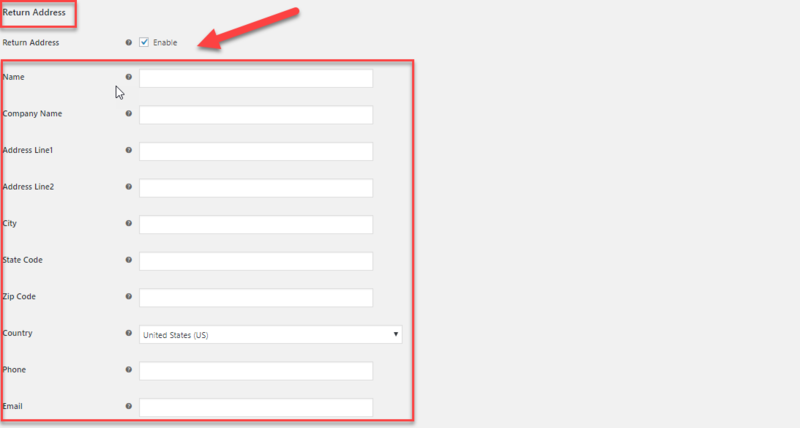 The plugin also lets you configure insurance for your FedEx packages with ease. Toggling Enable Insurance on will enable EasyPost insurance for your shipments. What’s more, you can even choose to make the parcel insurance mandatory or let customers opt for it if they wish. When configured to accept the customer’s choice, the plugin displays an option to opt for insurance in the cart/checkout page. Customers can tick the box when placing the order to enable EasyPost insurance. EasyPost charges 1% of the order value with a minimum of 1$ as insurance cover. The plugin lets you configure Bulk Shipments for FedEx. Using the Bulk Shipment section in the Label Generation tab in the plugin settings, you can assign one WooCommerce FedEx shipping option for Bulk International Shipments and Bulk Domestic Shipments easily. 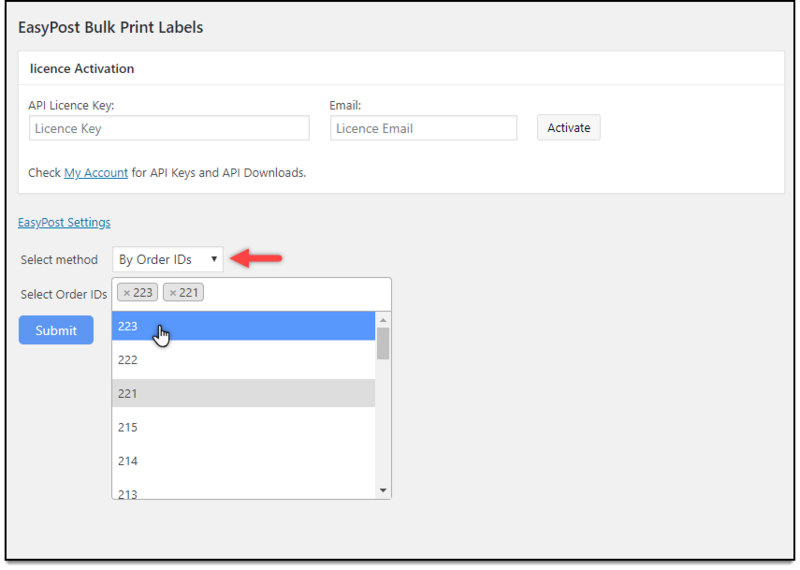 What’s more, using the ELEX WooCommerce EasyPost Bulk Label Printing Add-On you can print out shipping labels in bulk. If your order contains multiple items, the add-on generates labels for each and every item in your Order. 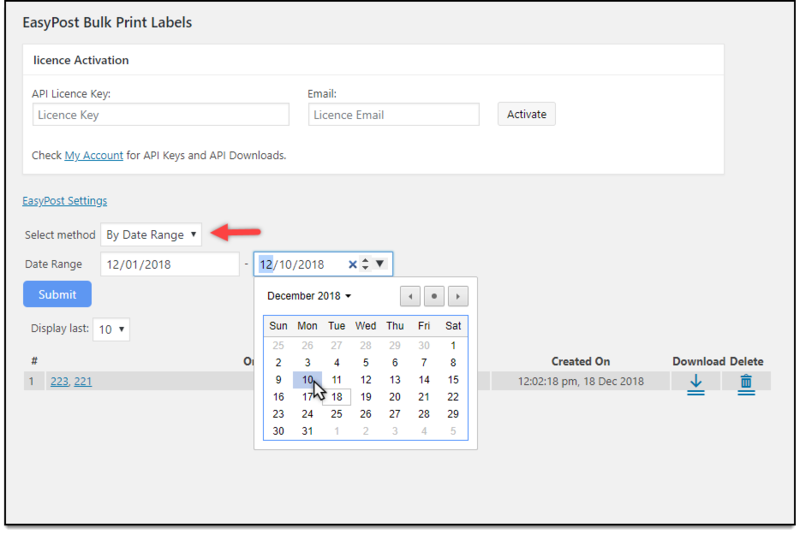 Additionally, you get the ability to choose the labels to be printed based on a date range where you need to specify a date range to get a consolidated PDF of all labels in that range. The add-on also facilitates the printing of labels according to the order ID as well. If you want a different address to be on the shipping label in case the package is returned, you can choose to enable Return Address. 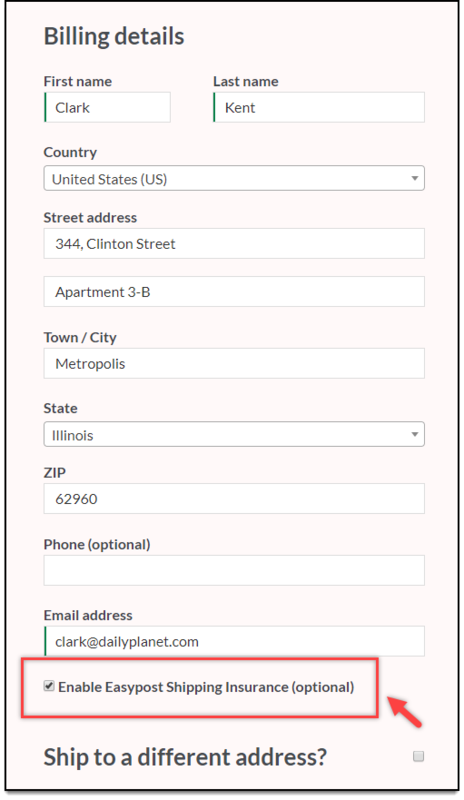 Using the fields you can fill out the address that will be used to ship back returns. 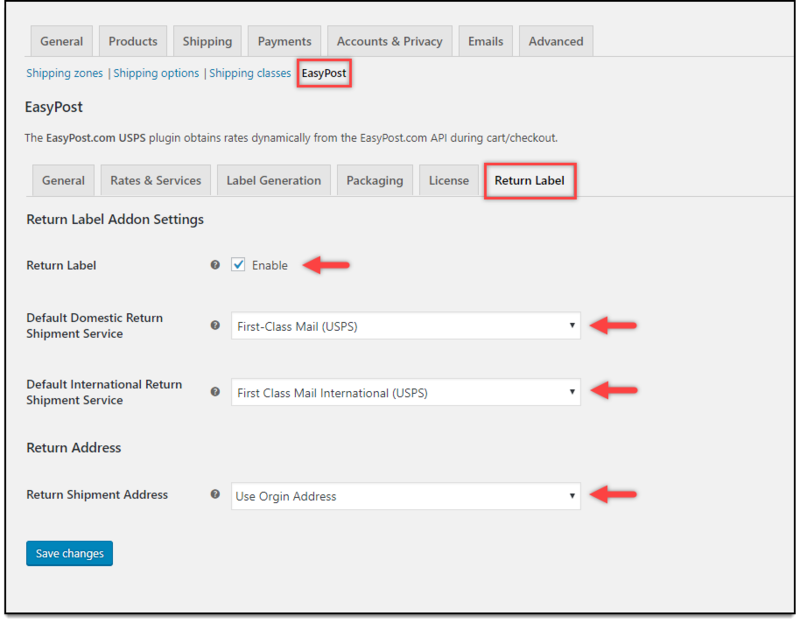 Moreover, using the ELEX WooCommerce EasyPost return label add on you can set up default FedEx shipping options for International and Domestic returns. Apart from this the add-on even lets you create return shipping labels for every item in your order. Access to real-time rates from not only FedEx but also UPS, and USPS. Set a custom method title for EasyPost shipping method. Set a fallback rate to process shipments when EasyPost fails to return any shipping rate. Choose real-time rate type as either Residential or Commercial. The premium version has a shipment tracking facility, package insurance, custom box packing and more.